Our body contains roughly 10 times as many microbial cells as human ones and most of them play important roles in our overall health and well-being. In our digestive tract alone, millions and millions of gut flora are hard at work helping to break down sugars and starches, turn raw nutrients into essential vitamins, produce energy and even support the immune system. When we were born, our body was almost microbe-free. Passing through the birth canal, we picked up your first few microorganisms. Nursing at our mother’s breast, we acquired more. Soon our digestive tract was inhabited by thousands of beneficial bacteria. By the time we reached adulthood, the numbers had increased to many trillions, most of them housed in your small intestine and colon. 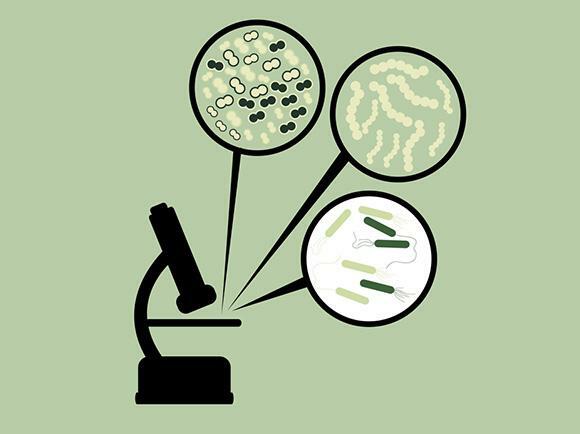 Scientists studying the human microbiome have learned that different people host different types of organisms, many of which perform the same tasks. Some people have more abundant microbial populations than others. And some organisms that are normally harmless or even beneficial can turn harmful if our immunity is low. As we grow older, things change. A baby’s microbiome contains lots of bifidobacteria, which are important for digesting dairy. As solid food is added, the bacterial population changes, too. Somewhere around age 65 our microbiome starts undergoing more changes. Bifidobacteria and lactobacillus populations drop even more. That’s why some foods that we used to eat without problems may start giving us trouble as your grow older. They haven’t changed but you have! Fermented foods are an excellent source of probiotics (or “good” bacteria”). Fermented dairy products like yogurt, cheese and kefir are among the most popular. However, most of the products we find at the grocery stores have been pasteurized; the naturally occurring probiotics are destroyed. And we live in a pasteurized, processed world, so all the good bacteria we think we eat are actually not there. This why a good probiotic supplement can be beneficial. A good probiotic supplement helps restore a healthy balance in our intestines, helps our digestive system process the food we eat more efficiently. It can also help support healthy immune system activity. But how do you decide which probiotic to take? Look for a well-researched, highly effective strain with a high live organism count. Your stomach is a highly acidic environment, and not all the bacteria will survive long enough to reach your intestines. The more you start out with, the more you’re likely to end up with! One excellent source of probiotic support is KEFIRAN supplement, which provides the valuable polysaccharide kefiran plus 50 billion live probiotic cultures from seven different strains. KEFIRAN contain no dairy, no lactose free, no gluten free and 100% vegan.